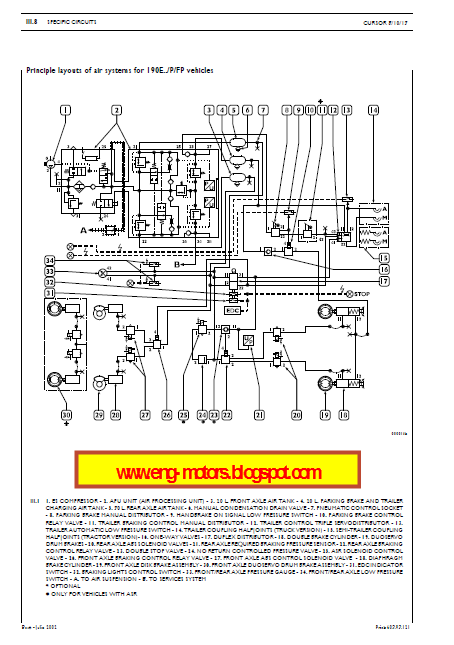 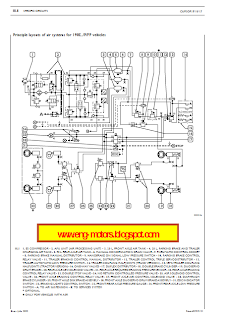 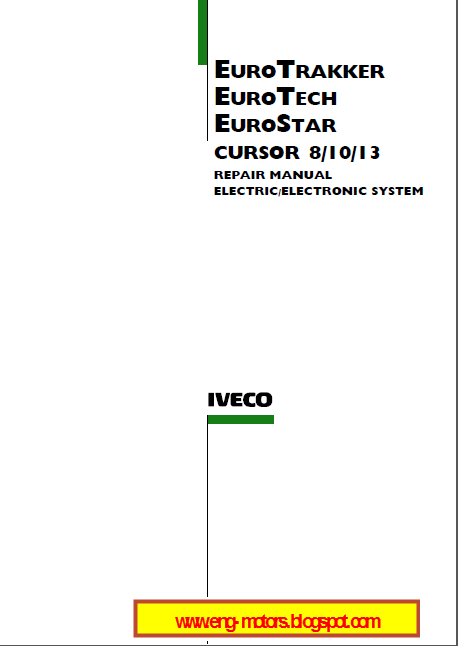 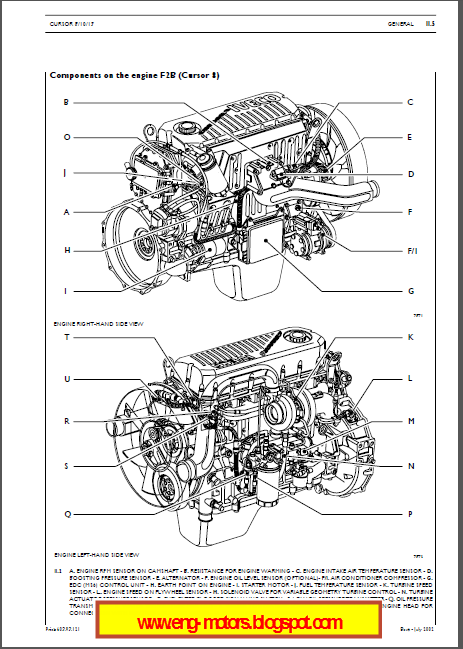 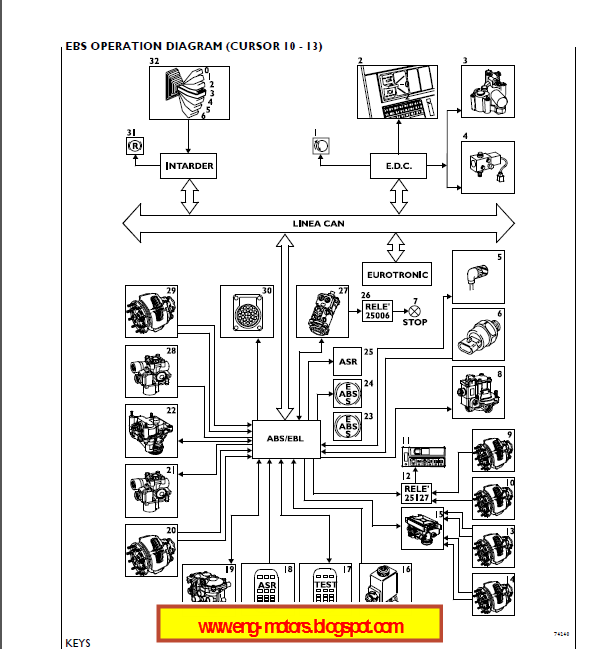 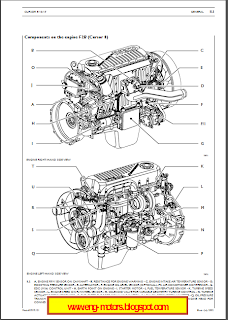 EuroTech, EuroStar repair manual, service manual, maintenance, engine repair manual, specifications, electrical wiring diagrams Iveco EuroTech, EuroStar, EuroTrackker Cursor 8/10/13. 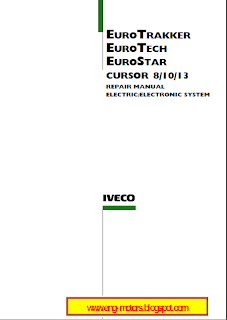 This publication Iveco EuroTech, EuroStar, EuroTrackker Cursor 8/10/13 describes the characteristics, the data, the correct methodology of the repairs that can be made on each individual component of the vehicle. 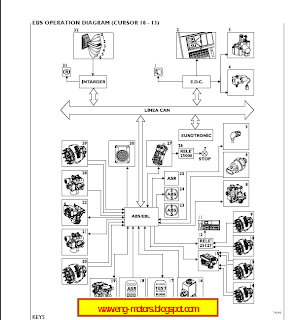 By complying with the instructions supplied and using the specific tools it is possible to perform any repair intervention correctly,within the specified time frames, while protecting the technicians against incidents. 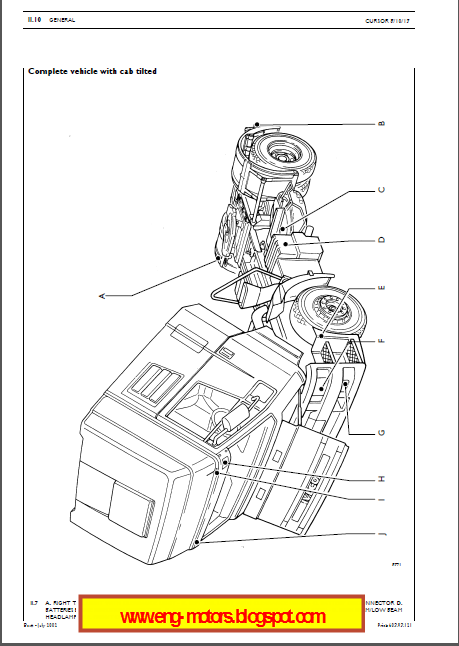 Before starting any repair work, make sure that all accident prevention devices are ready at hand. 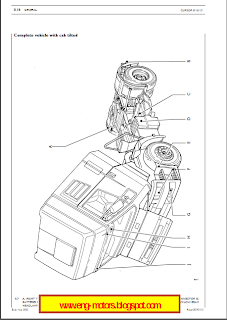 Check and wear the protective personal equipment provided for by the safety standards: goggles, helmet, gloves, shoes.